For many of us, the biggest advantage of nicer weather is the ability to hang out atop a rooftop or on a patio, all Saturday long, drink in hand. While the spring and summer season is enjoyable, it’s no secret that repetitive day-drinking can take a toll on your body. We all want to have it all—feeling our best while also living life to the fullest. With that in mind, prepare ahead of your next rooftop soiree with the help of the gorgeous founder of Sakara Life, the nutritionally designed, plant-rich meal delivery service and wellness brand with a celeb and cult-following. 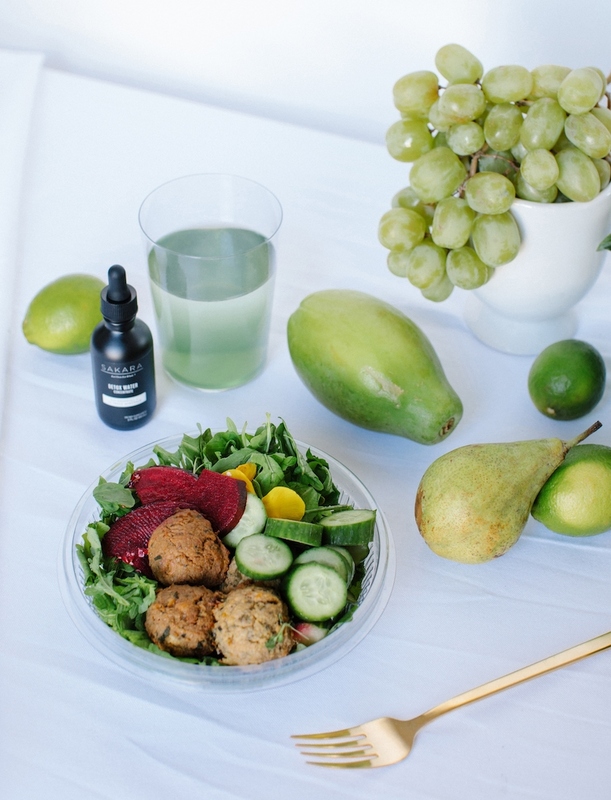 Sakara is all about living a sustainable, balanced life. 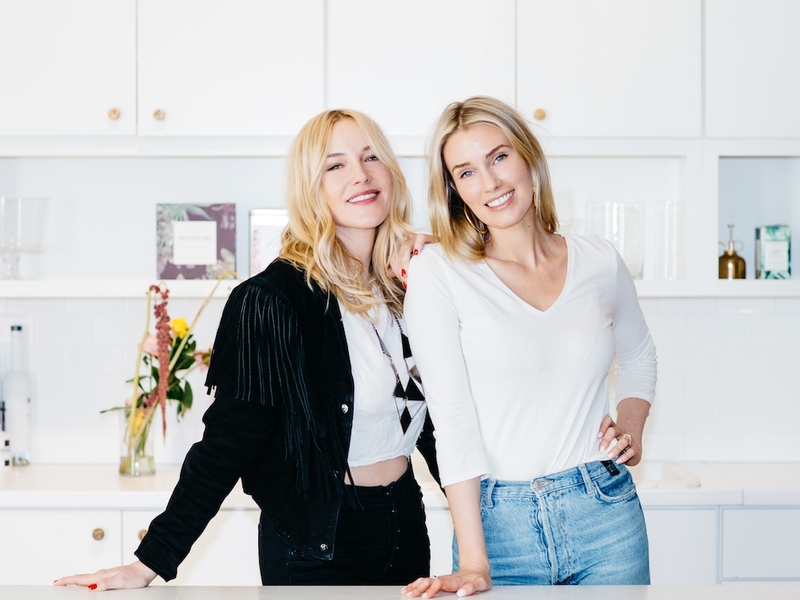 Co-founders and co-CEOs Whitney Tingle and Danielle Duboise live by the motto, “Eat Clean, Play Dirty”—an idea that allows them to live free of restrictions while maintaining their happiest lives. This ethos is echoed throughout their meal program and range of functional foods, which ensure that you get enough of the right foods and nutrients so your body can function optimally, even when you’re indulging on the weekends. “We love a rooftop cocktail after work once the weather warms up! At Sakara, our motto is, "Eat Clean Play Dirty" and we do not believe in deprivation or a "no list". So fill up with hydrating, fiber-rich leafy greens at lunch and choose cocktails made with small batch liquors or a glass of organic wine to avoid that Happy Hour hangover headache. Before bed, use our Detox Water Drops as a nightcap and allow the Chlorophyll and 72 trace minerals to gently detoxify and rehydrate your cells as you sleep. No regrets... No sacrifices." Whitney and Danielle told us. Below are a few ways thinking like a "sakaralite" can save you from a hangover and keep you feeling fresh after a weekend of *too much* fun. Pre-drinking is all about hydration! Ahead of a big day or weekend, acknowledge that once you start sipping rose, you probably won’t drink water. One of Whitney and Danielle’s biggest tenets is ‘eating your water,’ or the idea of filling up on hydrating foods that are mostly water, including greens, cucumber, blueberries and melon. While you’re enjoying your day, don’t forget to fuel up. Considering that a day of sun takes a lot of stamina, you’re most likely going to get hungry after a few rounds of cocktails. If you want the fries, have them, but if you just need a little pick-me-up, reach for Sakara’s ultra-portable energy and detox bars to tide you over until your next meal. Packed with 10 grams of plant-based protein, the bars will fit in even the smallest purse and make an easy snack while out. Post one too many cocktails? You’ve woken up feeling less than ideal, (but got a great Instagram out of it!) Celebrate the good times, and pop a Sakara Daily Probiotic to balance the bacteria in your microbiome (aka your gut). Since your microbiome regulates nearly all systems in your body, and even affects your mood, it’s important to feed the good bacteria to get you back to feeling 100%.